Just since Oct. 1, the U.S. has been victimized by a stream of deadly mass shootings — 10 people murdered at Umpqua Community College in Oregon, three gunned down inside a Planned Parenthood in Colorado Springs, Colo., 14 killed at a center for the developmentally disabled in San Bernardino, Calif. And that’s not abnormal. On average, The New York Times reports, every day in 2015 there has been a shooting in which four or more people were killed or wounded. Even that dramatically understates the carnage that guns cause in the U.S. 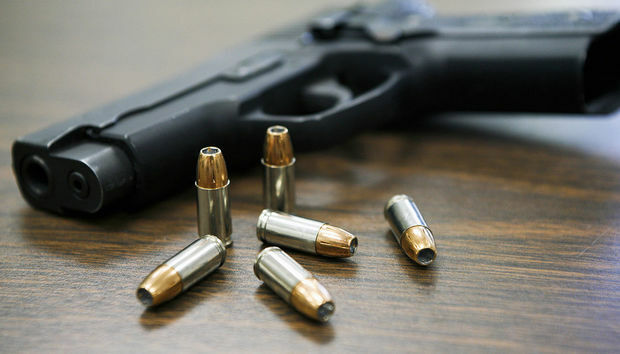 The federal Centers for Disease Control and Prevention says that more than 33,000 people a year in the U.S. die as a result of the use of firearms, a figure that includes not just murders, but also suicides and accidents. New York Times columnist Nicholas Kristof this past summer wrote an impassioned call for gun control that included a recounting of horrific gun-related statistics. Since 1968, he noted, more people have died from guns in the U.S. than on the battlefields of all the wars in American history combined. Every six months, he added, more Americans die as a result of gun homicides and suicides than have been killed in all terrorist attacks in the last 25 years, plus the wars in Afghanistan and Iraq, combined. Given the unholy power of the National Rifle Association to block any sane regulation of guns, it seems that all we can do about gun deaths is to despair. But technology holds out some hope to stop at least some of those deaths, as long as gun fanatics and gun trade groups don’t get in the way. A year ago, Silicon Valley began to get serious about developing smart guns that can save lives. Ron Conway, one of the world’s most successful angel investors (Google and PayPal are two of his early startup investments), started the group Smart Tech, which funds companies developing smart-gun technology. The group has already funded 15 projects. Smart guns make guns safer in a variety of ways. Some use fingerprint readers so that only authorized users can fire the gun. Others, such as iGun use RFID technology so that only someone who holds or wears a specific object like a ring can fire it. SGTi can retrofit existing guns with fingerprint readers. The technologies can save countless lives. For children to accidently kill themselves or their friends when playing with firearms, they would have to be authorized users of the gun. Stolen guns couldn’t be used by gangs, terrorists or criminals. There’s even a chance that smart-gun technology could have stopped the slaughter of 20 children and six adults at Sandy Hook Elementary School in 2012. Adam Lanza used his mother’s assault rifle. Sounds like a solution everyone can love. Fewer gun deaths, with no legislation required. Those who want smart guns can buy them; others don’t have to. But gun fundamentalists and the gun industry don’t see it that way. And they’re doing what they can to kill the technology before it can save people’s lives. Fortune reports that two gun dealers were put out of business by gun-owner extremists because the dealers sold the Armatix iP1, a semiautomatic pistol that uses RFID and a smartwatch to prevent anyone other than its owner from shooting it. Andy Raymond, co-owner of Engage Armament in Rockville, Md., was targeted by threats to burn down his store and kill his dog if he continued to carry the gun. He told the Portland Press Herald, “I should have known better. I would rather be shot by an i-gun (a smart gun) than ever get involved with it again.” A dealer who sells the gun over the Internet to authorized gun dealers spoke to Fortune only on the condition that his name not be used, because he feared similar actions. The gun extremists are opposed to smart guns because they believe them to be the first step toward gun-control laws. Sanetti and Patterson might want to tell the parents of the 785 children who were killed in firearm accidents between 1999 and 2010 that guns are completely safe. (That number is from the Centers for Disease Control and Prevention) The parents would likely tell them that it might not be a bad idea to put an obstacle in the way of a gun going off if that gun is in the hands of a child. Smart guns by themselves won’t solve the problem of gun violence. The ultimate answer also includes banning weapons like assault rifles, passing laws that require comprehensive background checks before someone can buy a gun, and other measures such as not allowing suspected terrorists on the do-not-fly list to buy guns. But the NRA is too powerful and our politicians too cowardly to do any of that. In the interim, smart guns can save plenty of lives. We need them now.